I am very excited to get to talk to y'all about the HD Kabuki Brush Collection from Blank Canvas Cosmetics. I had been lusting after this since I saw it on the website and seeing as I was completely impressed with the last brush set I got from BCC, it was a no brainer! The kit consists of 4 different kabuki brushes and I will talk about each one individually and detail what I use them for. In general, these are staple brushes in my collection- I use at least two of these on a daily basis. They wash well with baby shampoo and warm water- I have washed these at least a dozen times and they come out perfect everytime. In between deep washes, I use my MAC brush cleanser on these to keep them clean (I'm a bit of a freak like that! ), and I have not experienced so much as a single hair shedding. Quite the feat! For any of you who are not aware, Blank Canvas Cosmetics is an Irish company set up by professional MUA Úna Tynan. She offers a multitude of brushes- both individually and in sets- pretty much a brush for any occasion! She also stocks eyeshadow and powder palettes and airbrush blender sponges. The F20 has been available on the site for a while now but the latter brushes are part of the Pro Deluxe Brush series. This set is remarkably similar to the Sigma Synthetic Kabuki Set which retails for €57 on Cloud 10 Beauty. So now onto the brushes! I ADORE this brush for putting on liquid foundation- I love it so much that I have 2 so that when one of them is drying, I have a back-up so I don't have to use an inferior brush. It's so unbelievably soft, nice and dense, the ferrule is nice and sturdy and I also heart the shiny black brush handle- it's perfectly ergonomic. I primarly use this for foundation but I have also used this for applying powder to set my foundation and buffing everything flawlessly. This is my number one go-to brush of late. Also, just for comparison purposes, I just want to post a picture of the BCC F20 in comparison to the star ELF Powder Brush, which I also really rate. I much prefer the handle of the BCC offering- I just like the way it's all one width pretty much down to the head of the brush where the ELF Powder Brush has this stonking big ferrule in comparison to it's handle, I just don't find it as user-friendly as the F20. The head of the F20 is also slightly smaller which I personally prefer for applying foundation and even though they are probably equally as dense as each other, there is a bit more give in the F20. This has become my favourite brush for applying blush to the apples of my cheeks. Again, I love this for all the reasons I love the F20- softness of the bristles, density, sleek handle and easiness to clean. I don't have any other angled kabuki like this, but this is definitely my favourite blush brush of late. 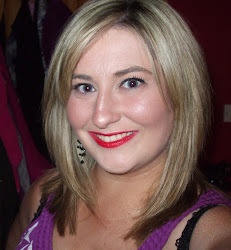 It picks up colour very nicely and I think it just gives a lovely flawless application of colour to the cheeks. This is another brush you definitely need in your life! Again, this brush is super duper soft and fluffy, and I use this to apply finishing powder or mattifying powder on my T-Zone when I feel I need it. This is quite similar to the F20 apart from the fact that the head is rounded. I use this mostly to complement the work of the other two brushes- sometimes I use this to buff the colour on my cheeks a bit or to buff in a cream blush once it is on my skin. Handiest brush ever! I will be the first to admit that I probably would have not ordered this if I was buying these brushes individually and I am loathe to admit it! This brush has been a revelation and made me seriously consider my brush prejudices! Basically, any thing at all to do with my undereye area and this brush is all over it, literally. I love this for blending concealer or mousse foundation under my eyes when I get those nasty, unsightly bags of greyness. This is enough to battle every the most cakiest of undereye concealers and it's definitely a victory for underdogs in my eyes! So I bet you're all wondering how much these bad boys would set you back...I have just checked the prices online on www.blankcanvascosmetics.com. Each brush will set you back 12 bucks a pop which is ridiculously good value, but if you are feeling like self-gifting coming into the Christmas season, check out the 3 piece set (F21, F22 and F23) for €32.50 or the entire HD Kabuki set will only set you back €45. They also offer international posting and keep an eye out on their Facebook page (click here) for special offers because they often have offers up. BCC have just celebrated their first birthday and you would be directly supporting an Irish homegrown business so not only would you acquire amazing brushes if you made a purchase, but you would also get that feel good patriotism buzz!